We've got the right mattress for your sleeping style and body type. And accessories to protect your new mattress or improve the mattress you already own. Need help... we’re just a phone call away. Your comfort is our priority. Exchange your mattress for a different model of the same size, or return it for a refund. No penalty. Just pay or get a refund for the difference in price! Simply contact us within 100 days of delivery and we will gladly make it right. Free white glove shipping on mattresses to most US addresses on orders $299 or more. Where we've been making beds since 1855. Free of harmful, ozone-depleting chemicals and emissions. We know what's inside because we make each one! Experience builds better mattresses and with every Rogers mattress you'll feel the difference of that experience. Great mattresses start with the springs. The starting point for comfort and support begins with the mattress core. Other manufacturers use foam blocks or off-the-shelf spring units for the core. We know better. That's why we design and manufacture spring units to insure long term comfort, proper support and sleeping pleasure. Our Powercore™ Mattress Unit is a new, better spring system. The individual spring design and placement, attachment, proper insulation between rows of coils and careful control of finished sizing make for a super durable and unusually comfortable spring unit. The progressive support of our Powercore™ Mattress Unit senses individual body contours and provide targeted levels of support for the widest range of body types and sizes. Coils feature more turns, more wire and more flexibility to provide better reaction and response to pressure points. Tensile strength is 20% more than wire used by the leading U.S. mass manufacturer. A straightened coil laid side by side to a conventional coil would be 20% to 100% longer. More steel in a coil means more progressive support. More comfort. Top quality padding and fabrics are the icing on the cake. Our comfort padding options, soft, hypoallergenic covers and long wearing fabrics used to upholster each mattress provide the luxurious finishing touches that will welcome you home each night. Our Talalay latex is a pure, natural product from trees that is certified for authenticity and quality. The Talalay process creates a more consistent padding material than latex using the Dunlop or other methods. It is naturally cool, non-toxic, anti-bacterial and allergen resistant. Nano spring comfort layers consists of 1000's of tiny, individually pocketed springs, assembled into an integrated unit. Talalay Latex and Nano springs combined make the softest, most luxurious, yet supportive mattress surface possible. Unlike like regular coils, Nano spring coils do not get progressively harder. Nano springs are compliant, providing luxurious comfort with out the drawbacks of other natural or synthetic luxury filling materials: Like shifting, loose and compressed layers of padding. Unlike horsehair, and other exotic filling materials in plush mattresses, Nano springs are hypo-allergenic. The benefits of natural latex feel and comfort at an attractive price. Made using new Sonocore technology that uses 50% less energy to manufacture. More consistent foam structure than traditional Dunlop latex for better ventilation, durability and comfort. Originally developed in 1966 by NASA for astronauts and made famous by Tempurpedic®. Responds to body's heat and gently cradles you, relieving pressure points and improving circulation. Ours is Certi-Pur® certified Like Tempurpedic®, but we use only the highest quality. Our commitment to responsible manufacturing. 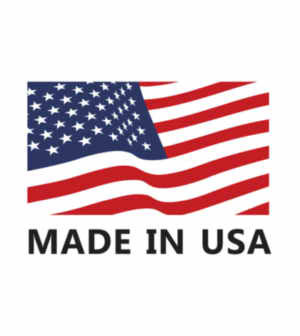 Since we actually make the mattresses we sell, our commitment to manufacturing responsibly is more than a promise. Absolutely no solvents are used in the construction and assembly of our Powercore™ mattresses. Steel for springs is mostly post-industrial recycled and is 100% recyclable. Our Oekeo-Tex certified Natural Talalay Latex is CTC Gold Rated. Our other padding materials and fabrics are CertiPUR-US and Oekeo-Tex certified. More information at: (CTC) Cradle to Cradle Gold Certified™, Certi-Pur®, Okeo-Tex® and SonoCore Pulse Latex. We use Fire Retardant designed and tested to meet CSPC standard 1633 without any use of chemical treatments. Our foams are made without the use of PBDE, CFC's, mercury, lead or prohibited phthalates or other harmful substances.